I’ll just start by saying that these were delicious. 5 stars. I could eat a million of them. (Don’t worry, I didn’t. Eat a million that is. 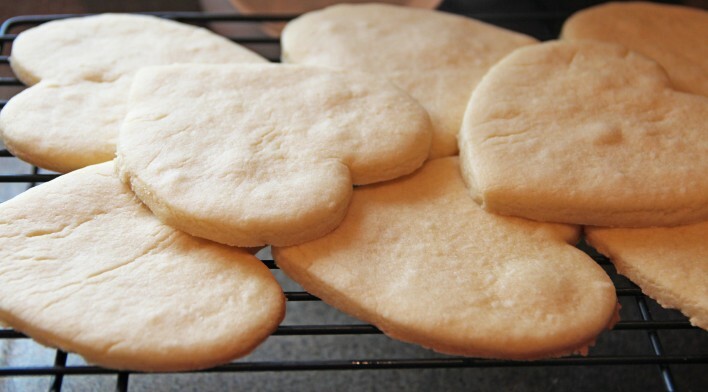 I won’t tell you how many I did eat though…) Ahem, anyway- I was perusing Pinterest to try and find a killer sugar cookie recipe, because I love to search by pictures. 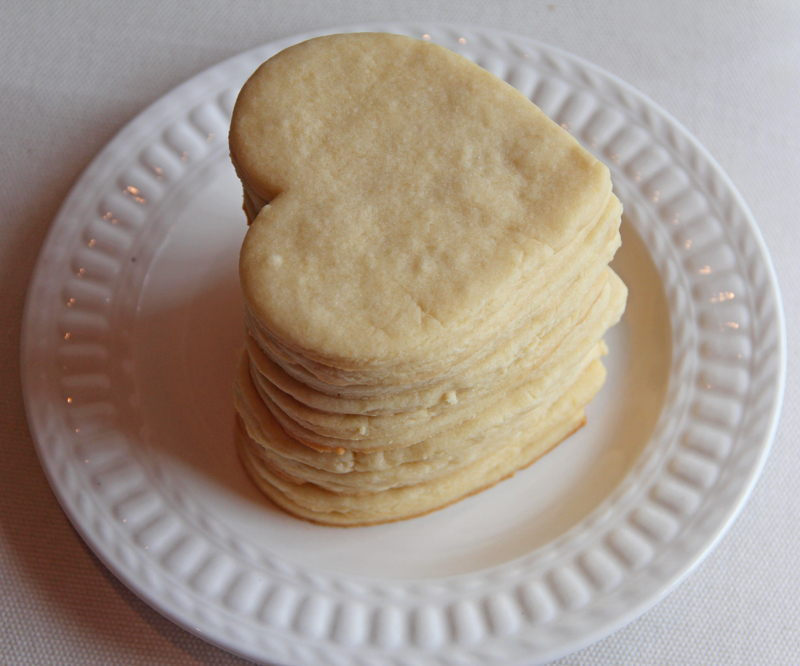 I ended up landing on this recipe from Make Bake Celebrate. I followed the recipe exactly, or at least I really tried to. The link I provided above will take you to the recipe and directions, but I’ll go ahead and let you know what I did differently, or where things went a little wrong for me. So, like I said, I tried following the recipe exactly, but when it was time for all my ingredients to be combined into the perfect dough- I had a slight problem. At this point, I was supposed to have a nice cookie dough, but all I had was one HUGE CRUMBLY mess. Although the original recipe stated that if it’s crumbly to just keep mixing- there was NO WAY what was in my bowl was going to turn from crumbly sand to dough. I couldn’t understand what I had done… I followed the recipe- I used the same ingredients, in the same order. I had no idea what to do, so I tried to improvise. There was no way these cookies were getting away from me. So, I pulled out my coconut oil, softened a couple spoonfuls in the microwave, poured it in, mixed it up and hoped for the best. Nothing. 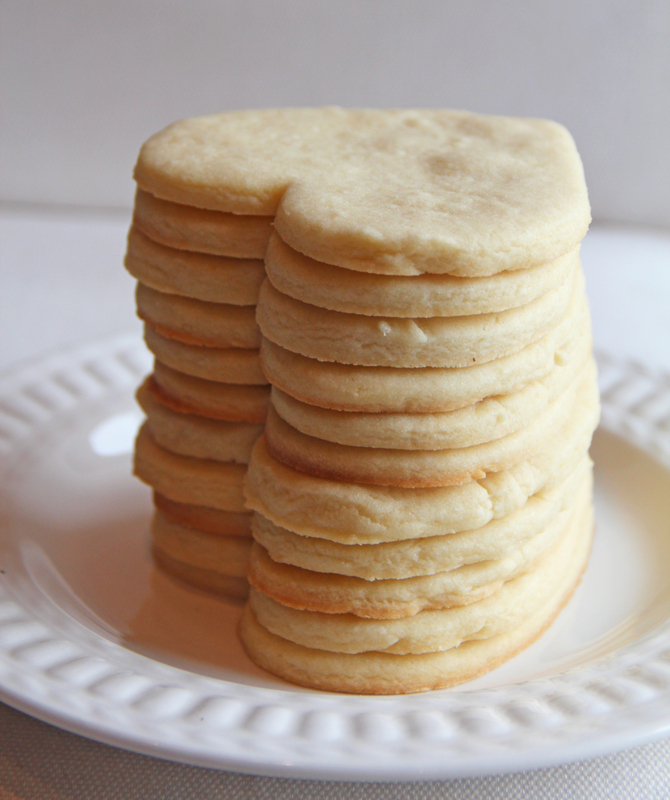 I didn’t dare try adding anymore at the risk of altering the flavor too much- so I pulled out my handy dandy BHG cookbook (with the plaid cover) to see what their sugar cookie recipe looked like. Right away I saw 2 eggs, while the recipe I was following only calls for 1. I ran to the fridge, got out another egg, and added it in. I only had to mix it for a little bit before my dough came together, hallelujah! We were back in business people! 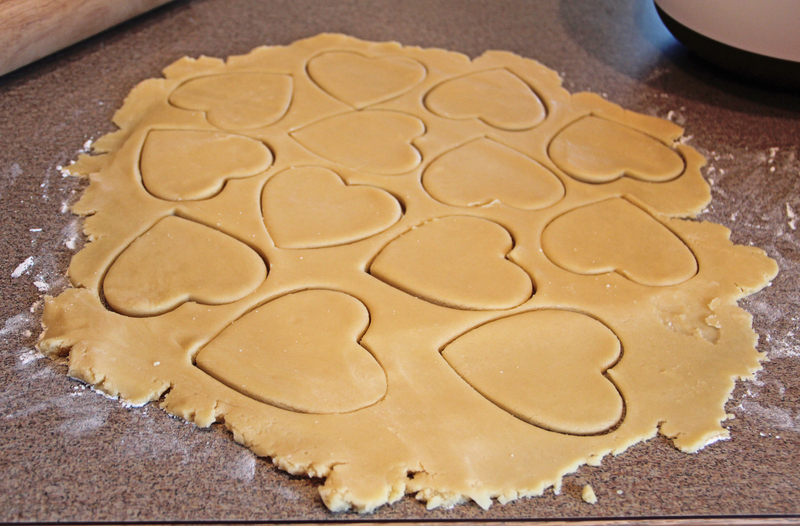 Now, at the time I decided I wanted to make heart-shaped sugar cookies, I thought I had a heart-shaped cookie cutter. After mixing up my dough and putting it in the fridge to chill, I quickly realized that I don’t actually have a heart-shaped cookie cutter. Drat! Just as I was making my peace with the fact that these would have to be plain old round sugar cookies, I saw a box of chocolates I just had to have when we went grocery shopping. 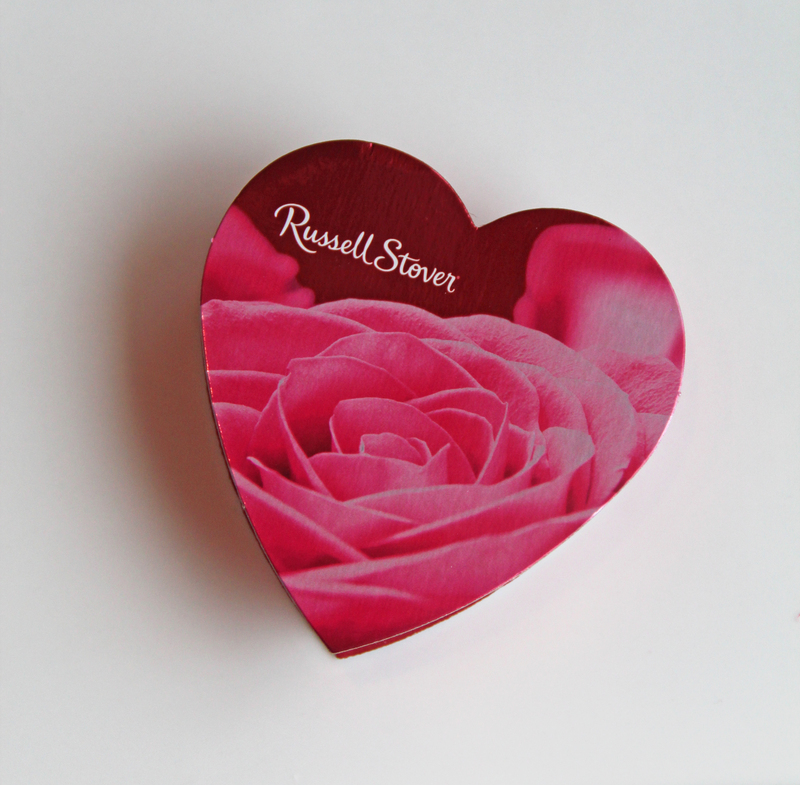 It was one of these little boxes, that only holds three chocolates. It was the perfect shape and size! 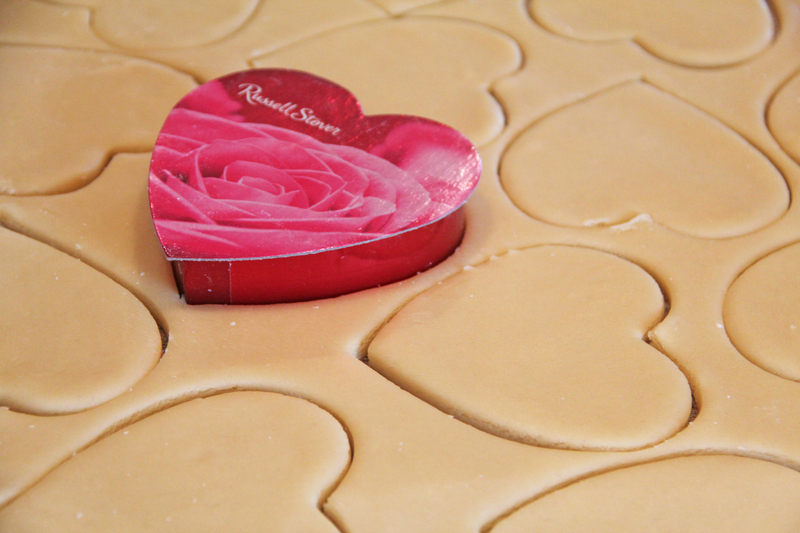 I ended up just using the lid as my cookie cutter- and it worked like a charm. The recipe I was following said to bake the cookies on parchment paper, which I unfortunately didn’t have at home. 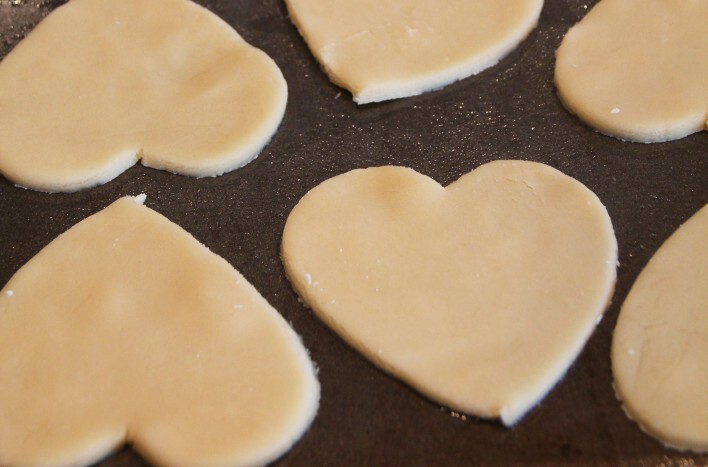 I simply sprayed my cookie sheets with non-stick spray and I had no trouble at all with removing them from the cookie sheets. I had no breaks or anything! The icing I found from Kitchen Meets Girl was really good, and pretty much exactly what I was looking for. 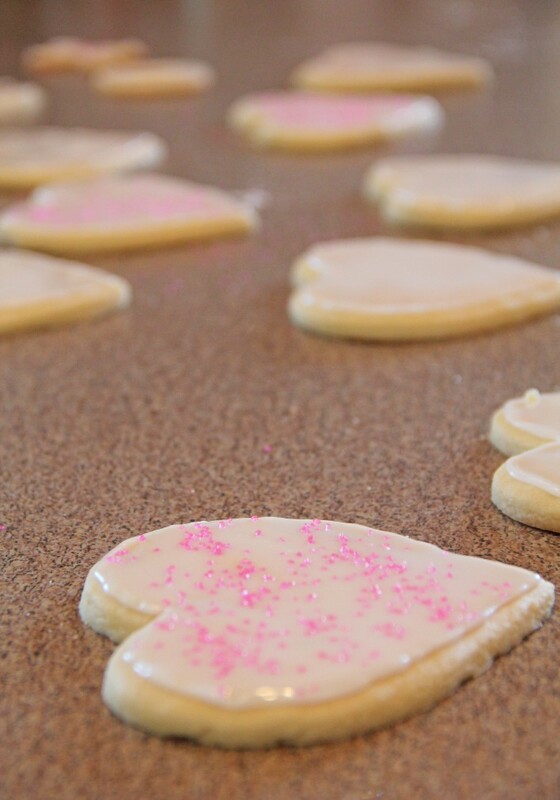 I didn’t want frosting- I wanted an icing that would harden and compliment the cookies perfectly. 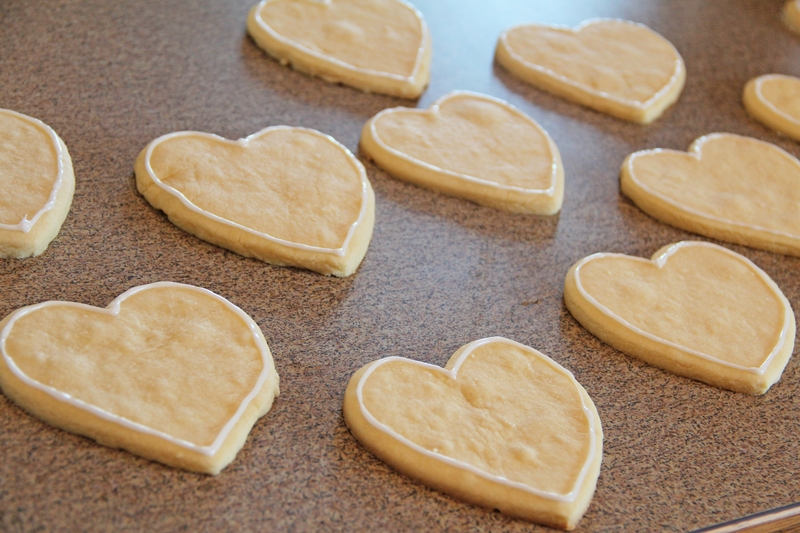 I followed the recipe exactly, and I used a Ziploc bag with the corner snipped for pipping the icing. This was a first for me, but it was pretty simple! 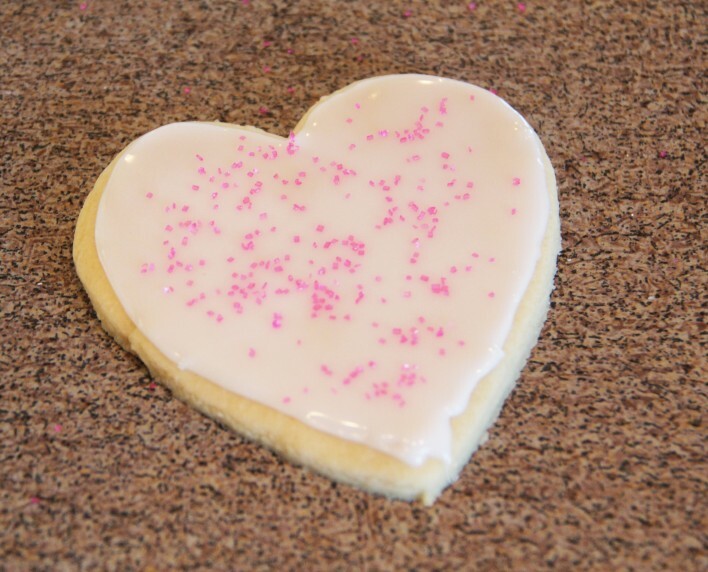 I didn’t have food coloring on hand, so I just put pink sprinkles on a couple of them and called it good. 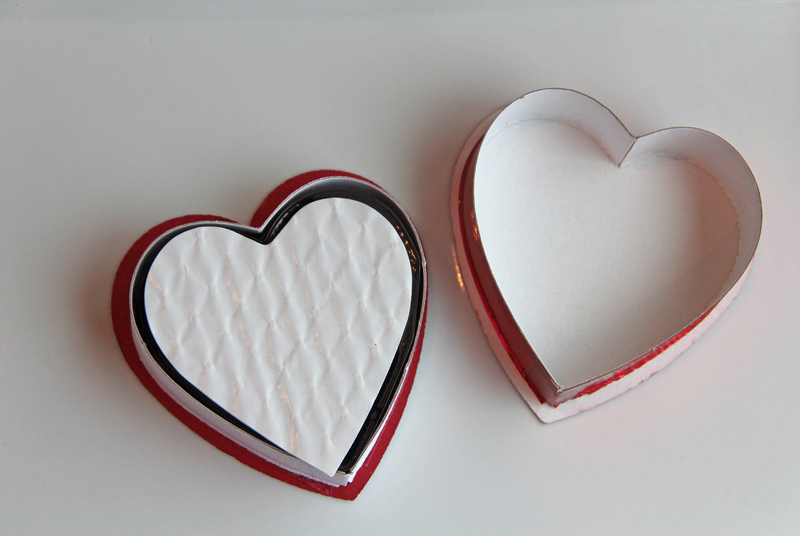 Lovely cookies, I’ll give them a try!